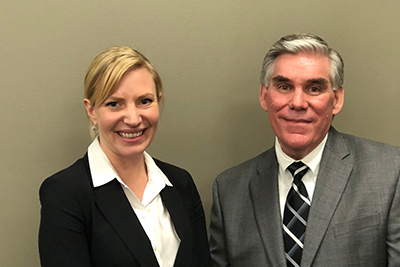 Approximately 70 credit union leaders met with California Department of Business Oversight (DBO) Commissioner Jan Lynn Owen, Deputy Commissioner for Credit Unions Caitlin Sanford, and Senior Deputy Commissioner for Financial Institutions Scott Cameron on Monday in Sacramento. Owen opened with remarks covering a wide array of topics, including cannabis banking, an update on PACE lending (Property Assessed Clean Energy), financial technology innovations in banking, and reflections on the current "Me Too" movement stirring in social media and the internet. Following her remarks, Sanford provided updates on various credit union exam-related issues, including a planned program with the National Credit Union Administration (NCUA) to pilot alternating exam years. She said the pilot will likely begin in 2019. Sanford also noted that DBO staff is undergoing training for the Financial Accounting Standards Board's (FASB) Accounting Standard Update for Current Expected Credit Losses (CECL), which is effective 2021. She said the DBO will not take a strong line on this when it is new and everyone is acclimating to it. She also said the DBO is reviewing several regulations for modernization, including member business lending, investments, and out-of-state credit unions.